“Experience” is the buzzword for many luxury marketers today. Major luxury brands, as well as financial brands targeting affluent and High Net Worth consumers are finding new ways to create experiences consumers can encounter that are beyond the product they are trying to market.Marc Jacobs, for example, teamed up with Uber to market its Daisy fragrance by offering free Uber rides in New York City in a special MJ Daisy car decorated with daisies where passengers were also entitled free Daisy bottles. To experience it, Uber users could simply enter the code MJDAISY on the app. While luxury products have always been purchased by the consumers for their functional benefits (design and craftsmanship included), emotional benefits (how they feel using the product), self-expression benefit (how they can define their identity by using the product), and social benefits(how they can relate to their [desired] peers better by using the product), Agility believes the day has come where a new kind of benefit: the experiential benefit (or what new thing they experience by exploring the product) , has become a major influence in the consumer’s decision-making process, and this is especially true in our social media driven world. Consumers, especially those who are affluent, now want to find unique experiences associated with a brand and post these occasions on their social media accounts (which is again an exposure opportunity for the marketing of the brand or/and product). Advertisements on magazines and regular shopping experiences, both online or at a brick-and-mortar store are not sufficient. 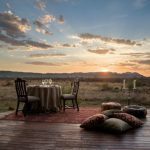 Indeed, in a heavily saturated luxury market, these experiences are what sets one brand apart from the other. In the case of Marc Jacobs, searching #MJDaisy on Instagram reveals a range of images from the MJ Daisy Uber experience, that has garnered thousands of likes. But why the trend? Why the need for experiential benefit? The answer is simple: people in this current age would rather spend more on experiences than they would on “things”. Research has shown that people feel more satisfaction by doing the former than the latter. Adding social media into the equation and you have the perfect formula to explain the phenomenon: “I can post more pictures of my experiences on my social media, yet I can only post few pictures, or even none, of the luxury goods I buy.” These experiences make them seem and feel more interesting offline and online, which all in of itself a status symbol – and may replace the need to purchase more luxury goods. Experiences include airline tickets, hotel accommodation, travel experiences, cruises, spa, entertainment, and fine dining experiences. Personal luxury goods include designer clothes, designer accessories, jewellery, and watches. Source: Agility’s Affluent Insights Millionaire Report 2017. Therefore, it is important now for brands to associate their products with certain unique experiences so that consumers feel that they are not spending only on “things”, but also the experience from purchasing said things, and marketers know this. Even fragrances and perfumers are creating scents based on taking the consumer to a certain place by creating unique scents that transport a consumer to a certain place. 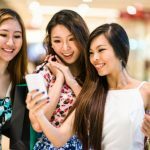 In Hong Kong and Singapore, the millennial millionaires are the ones more likely to expect highly customized experience when purchasing luxury compared to the ones in China At the same time, in Singapore, females are far more likely to expect it, compared to males; where it’s the other way around in China. Now the next step for brands to know is what kind of experiences will be the most attractive to consumers, and how do they appeal to the different demographics? Often, this question is resolved creatively by a group including the marketer, the creative agency, and designers. Yet, what sounds good in theory might not translate well in the market. Agility believes that this is also a question that can be best answered through research, both through qualitative and quantitative methodologies, which includes concept testing. Soon, we are also dedicating a portion of the Affluent Insights reports this year to uncover insights on experiences and the experiential benefit: which forms of experiences Asian consumers want, which types of experiences they associate with different luxury categories, and how social media engagement and purchase intent are derived from encountering these experiences, among others. These insights will help you make the best marketing strategies that will appeal to the consumers’ drive to encounter experiences. You can see more about these insights on Jing Daily. The Experiential benefit is next frontier in understanding luxury consumers. Are you well equipped with the right insights?